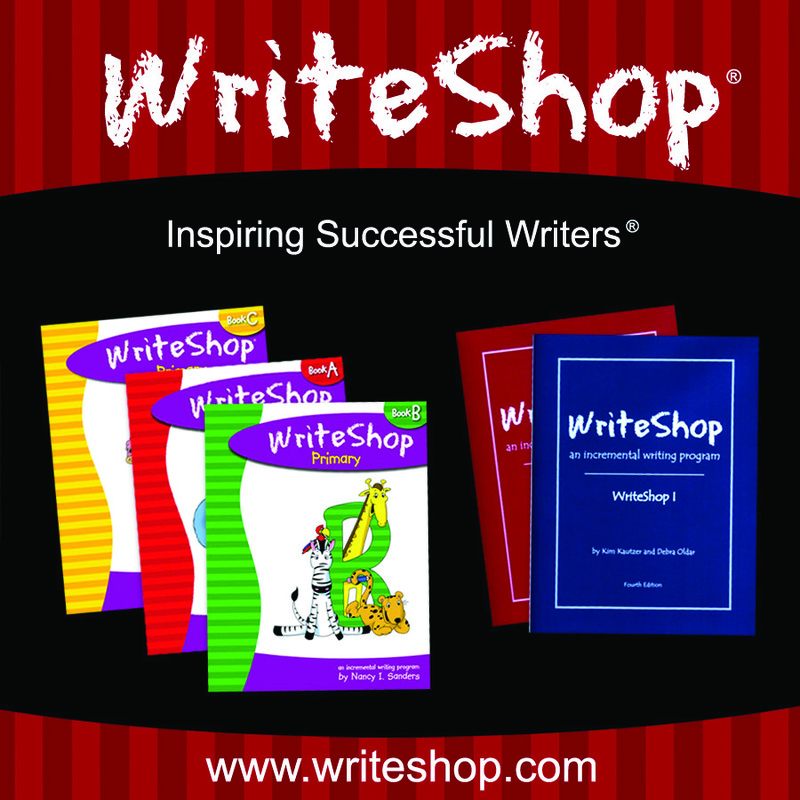 WriteShop is an incremental writing curriculum - it's a hands-on, guided approach to learning the writing craft. WriteShop Primary's main focus is to easily introduce the writing process to kids in Kindergarten through Third Grade in ways that are crafty and fun. My six year old son Zeke has a lot of the typical boy "problems" - he has a hard time sitting still while trying to write, he's constantly on the go, and is having some troubles learning to read. He's anxious to read and write but just doesn't quite have the control & patience for it. These are not necessarily problems - hence my quotation marks above - they're really more like challenges that I'm having to adapt to. I was getting very frustrated with the reading and writing curriculum we were using and was taking a break, trying to figure out something else that might work when Kim approached me about a sponsorship for The 2:1 Conference. So for the past few weeks, Zeke and I have been trying out their curriculum and I'm very impressed. 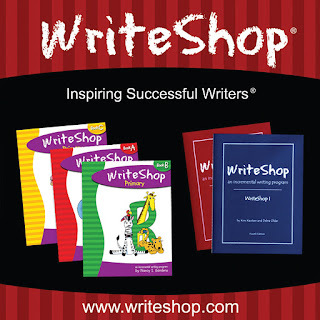 We started WriteShop Primary - Book A a few weeks ago - it's recommended for kids in Kindergarten or First Grade. The Teacher's Guide is chock full of ideas, activities and guides. It includes several different types of schedules for the curriculum that you could adapt to either your child's skill level or your time frame each week, whatever the case may be. I liked this because I know each homeschool mom's schedule is a little bit different with the various activities and groups they're involved with, not to mention family time and jobs. The daily Guided Writing Practices are ideal for Zeke because they give him the opportunity to either write out a short story himself without worrying about his penmanship or whether or not every letter is perfect, or he can dictate his story to me. (I let him go back and edit the stories later on in the week.) He did a little of each, writing himself and dictating. There is a script for each Guided Writing Practice that I found helpful - it could easily be adapted to your individual family and personal preferences. The lessons are just the right speed for Zeke, but also include optional things you could do for a child who's a little bit behind or a little further ahead. - Talked about brainstorming and brainstormed a list of the animals he likes. - Drew a picture of his favorite animal. We have 15 birds. We have chickens and a duck. We like our pets. - Edited and revised a few of his stories. - Did an animal-themed worksheet where he traced letters, colored the pictures, and read the words aloud. Since we've started using the curriculum I've noticed that Zeke no longer sighs or complains when I tell him it's time for writing. He's excited to show his stories to his Dad each day. It's been wonderful to see him actually enjoying himself and having fun while practicing his reading and writing skills! WriteShop is available for purchase on their website - the Teacher's Guide is available in a PDF eBook version ($24.25) or in a print version ($26.95). The Activity Set Worksheet Pack that goes along with it is also available in print ($4.95) or eBook ($4.50) version. They have curriculum from Kindergarten all the way up to High School and offer many other interesting products. Their Facebook page and blog are wonderful sources of information, encouragement and hints on writing as well. WriteShop is very graciously giving away two copies of their curriculum! The winners will receive their choice of one of the WriteShop Primary levels - either Book A, Book B, or Book C - plus the accompanying Activity Set Worksheet Pack! One reader will win a print copy and the other reader will win an eBook copy. Disclosure: WriteShop is my sponsor for The 2:1 Conference. I was given a copy of this curriculum in exchange for my honest review. I writing lesson that did not include whining would we wonderful! : ) Thanks for hosting the giveaway. I like the Write Shop primary in print. I have 2 boys who could use this! Thanks for having this giveaway! I have been wanting to buy this writing program! It would be great to have!